Our Crowdfunding Campaign is now closed. But our Two Good Tuesday campaign continues. Email us at [email protected] if you'd like to order lunch or keep up to date on what were up to....... Hint: It involves one of Australia's best chefs, Employing women from the shelters we serve and continuing to deliver you more goodness each Twosday. Soups were so last season. Welcome Two Good Salad. Each one you buy, we give one away. Amazing cooks and chefs onboard. Each salad costs $12. This pays for yours plus someone from a shelter or at our soup kitchen. Minimum order of 10 Salads. Donate the equivalent and we will email you with our list of salads. We're super excited to have Sarah Wilson from I Quit Sugar collaborating on our Two Good project. Sarah has designed our newest soup - The Kung-Flu-Fighting Chicken Soup. We hit the streets! Here is a shot of Team Two Good looking all smug in our jumpers last Wednesday night. Two Good really is going too good. We need to take on another 3 DV Shelters to meet your demand this week. We have also needed to offer employment to another lady from one of the shelters. Good problems to have right? We are already supporting three Domestic Violence shelters, Wednesday evening IOOSK Soup Kitchen, Wednesday Soup Drive to Rough Sleepers, Thursday and Friday Lunch at St Canice's Soup Kitchen. Lets make it to 20k. We're overwhelmed by your support of our soup project. Thank you. We're proud to say that with the money we have raised we will be delivering soups out onto the streets of Sydney this winter! We're lifting our target to $12,000! Tell your friends and colleagues. More soup equals more goodness. Our soups are amazing! 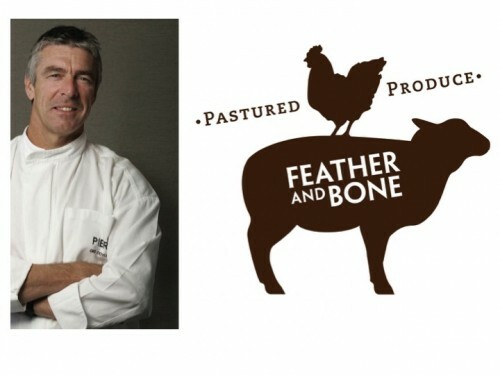 We have collaborated with industry legend chef Greg Doyle (Pier Restaurant, voted best Restaurant in Australia) to design a soup range to both comfort and cleanse a stressed body. We've already started delivering our soups to inner Sydney corporate companies. The soups sales have allowed us to also deliver to three inner city domestic violence refuges. Our early success has even enabled us to offer casual employment to one of the ladies from the DV Shelter. This will continue. But with your help we can deliver more goodness to people who need extra comfort this winter. There are about 2000 people sleeping rough (on the streets) in NSW at the moment. In 2015 that aint good enough. We can't do much about this but we can provide a moment of comfort in a very uncomfortable time. 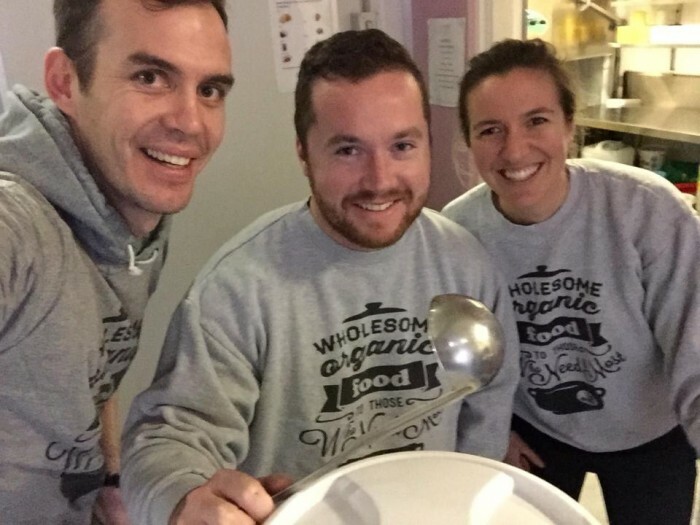 We want to take our soups onto the streets for rough sleepers throughout July and August. All we need to do is raise $9,000. This will allow us to purchase a small van to transport the soups and make 150 soups each Wednesday night for 8 weeks (July and August). With a minimum order of 10 soups you can buy organic comfort soups and we will deliver them to your office (Sydney Metropolitan only). Every soup you buy enables us give the same nutritious soup to someone in need. Good for them. Twice the good for you. Engage your friends and staff in a social venture that nourishes them in body and soul. Here is how it works. Medibank and Medland Metropolis bought 30 soups each for their staff. We delivered their soups in jars or large containers. And made the same soups to support three Domestic Violence Shelters (for security, no photographs of the shelters or residents can be provided). But here is a great comment from our first delivery. "It has been a big hit here the women are loving it and it is a very yummy treat during this colder weather." Katie Y, Program Manager, Women and Girls Emergency Centre. We also managed to serve a few extra soups at our Wednesday night soup kitchen in Kings Cross. Here is one of our regulars who convinced us to take an extra one away - Could you say no? Donate $50 and get a two good tee. If you don't live in Sydney, you can simply buy the "other" soup. We will let you know when we make it and who it goes to. It's two good for two good reasons. Each salad you buy allows us to give the same salad to someone who needs a little extra comfort this winter. Good for you, good for the community. Buy an organic salad and we will deliver it out onto the streets or at a shelter or at our soup kitchen. We will send you a photo of the delivery. Est. Delivery Date: That week. Buy 4 organic salads and we will deliver it out onto the streets or at a shelter or at our soup kitchen. We will send you a photo of the delivery. 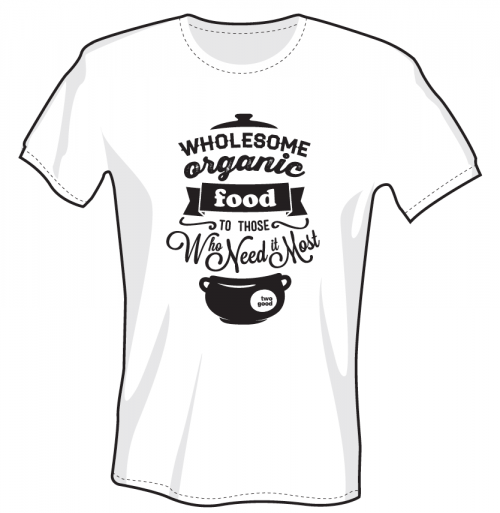 Help us spread the word in this awesome organic cotton Two Good Tee. Profits go to making salads for shelters or the soup kitchen. We'll email you for your tee shirt size. Est. Delivery Date: End of Campaign. 10 salads delivered to your office on a Tuesday (must be Sydney Metropolitan), and ten salads delivered to a Domestic Violence shelter or Soup Kitchen (must be Sydney Metropolitan), plus a photo and a shout out. Donate and we will email you with the details and order form. Est. Delivery Date: The week following your order. Or date you request. 25 salads delivered to your office (must be Sydney Metropolitan), and 25 salads delivered to a Domestic Violence shelter or Soup Kitchen (must be Sydney Metropolitan), plus a photo and a shout out. Donate and we will email you with the details and order form. 50 salads delivered to your office (must be Sydney Metropolitan), and 50 salads delivered to a Domestic Violence shelter or Soup Kitchen (must be Sydney Metropolitan), plus a photo and a shout out. Donate and we will email you with the details and order form.